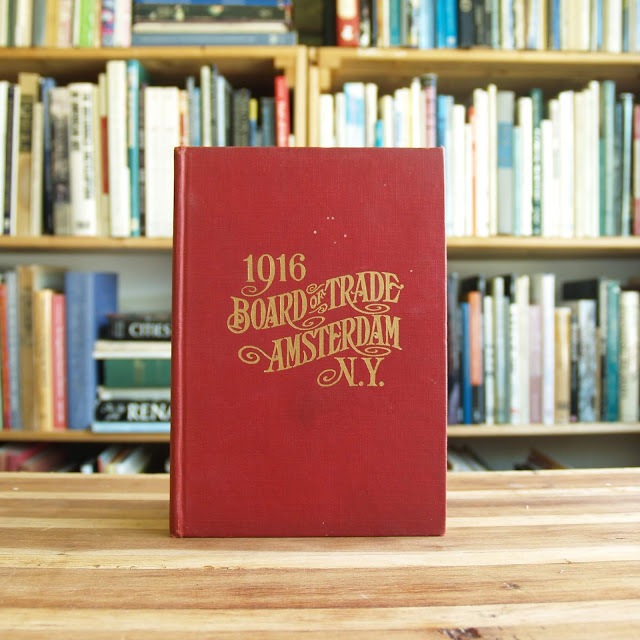 Official manual of the Board of Trade (similar to Chamber of Commerce) in Amsterdam, New York. 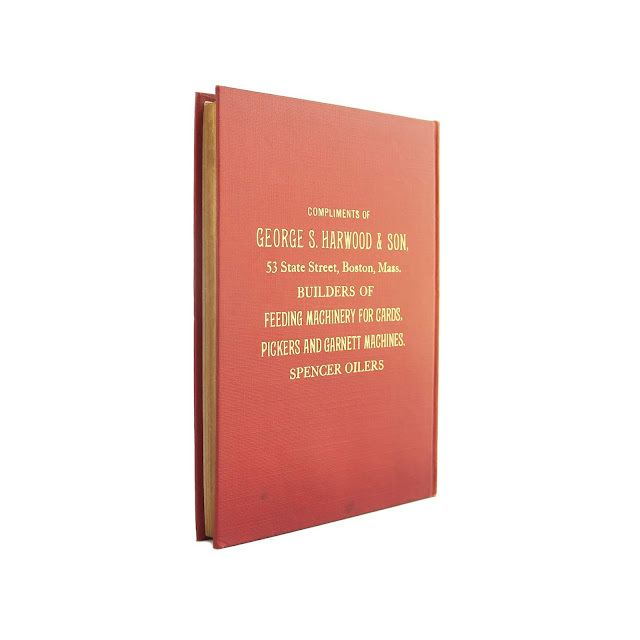 Contains portraits of officers, constitution and by-laws, list of members, history, views, etc. 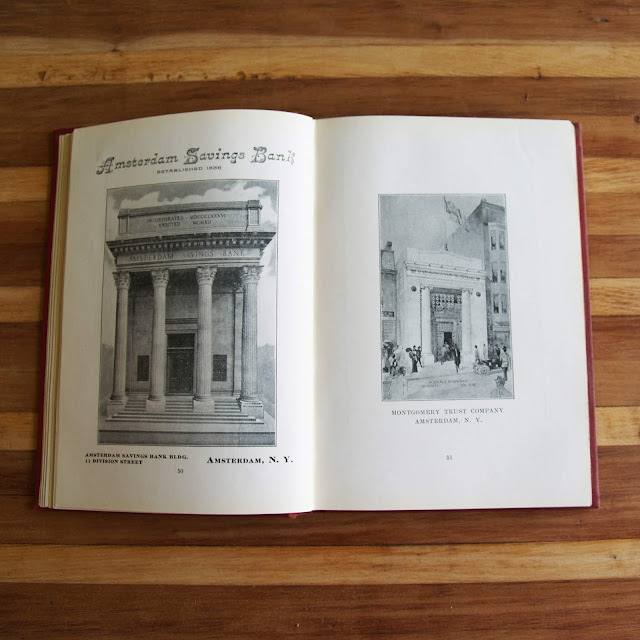 Filled with advertisements of the local area, as well as notable homes and businesses. 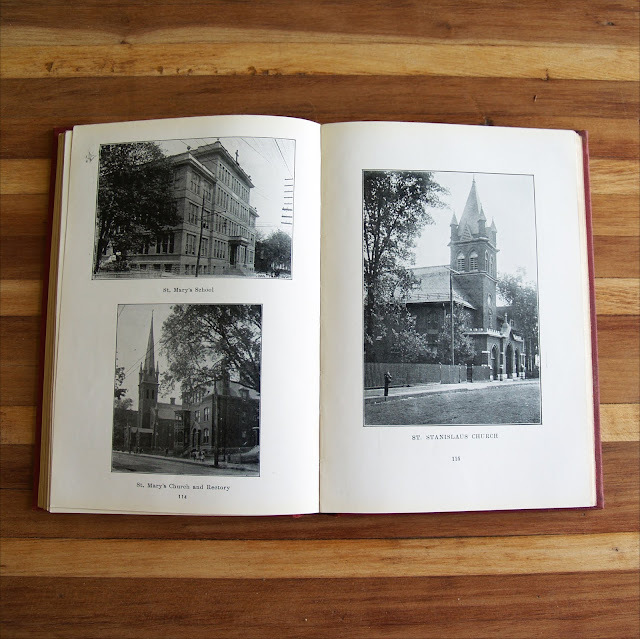 5 x 8 inches with 201 indexed pages. 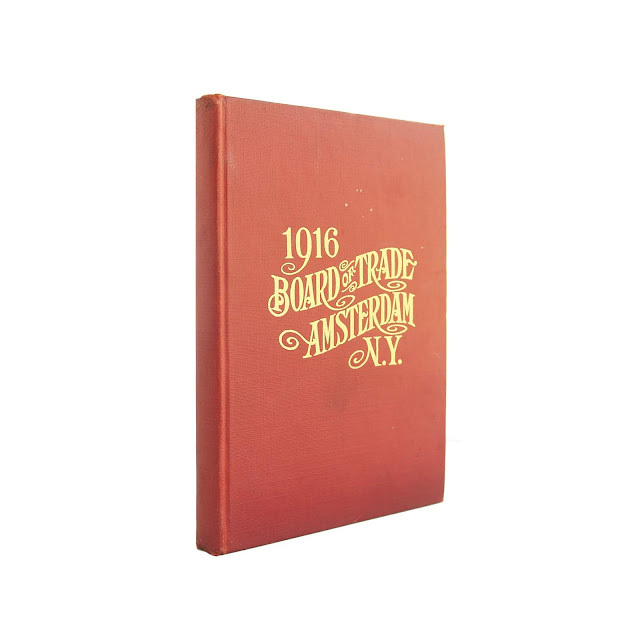 Red cover with gilt lettering on front. All edges gilt. Owner's name on front innerboard, some wear and soil. Signatures a bit loose, but binding is holding.